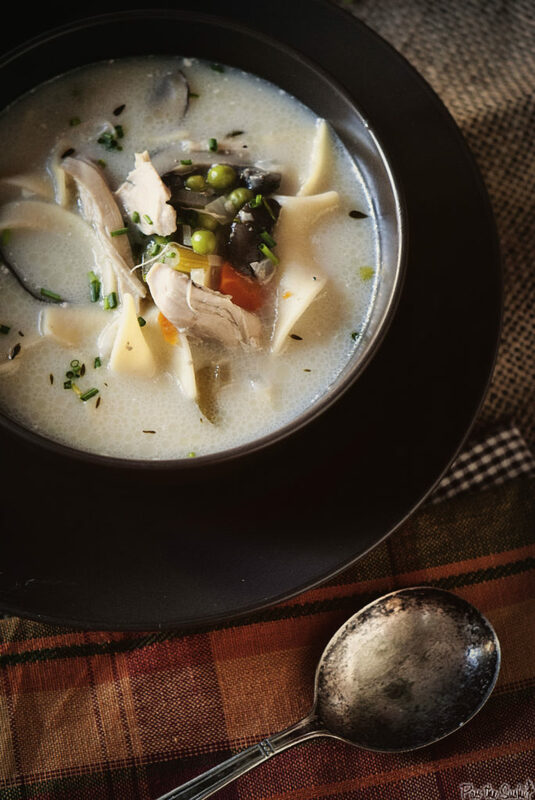 Years of sniffles and child hood colds have pretty much ruined chicken noodle soup for me. Now when I’m sick, the last thing I want it a little red trademarked can of soggy noddles and sodium flavored broth. 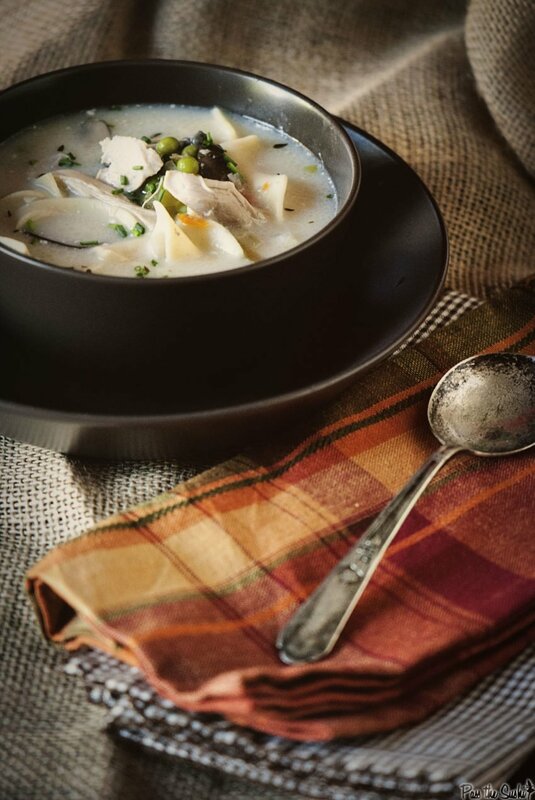 The other night when looking over my bucket list of recipes chicken noodle soup came up. I immediately started to backpedal. Chicken noodle soup. A flood of gross flavors and textures came running back to me in the same way I smack my own hand every time I think a canned ravioli would be the best thing ever. (Trust me, it’s not the epic meal that you were fond of as a child). I’ll even take a vegetable soup over plain chicken. noodle. soup. Could I take on the worlds most boring soup and make it spoon worthy? Was I up to the challenge? 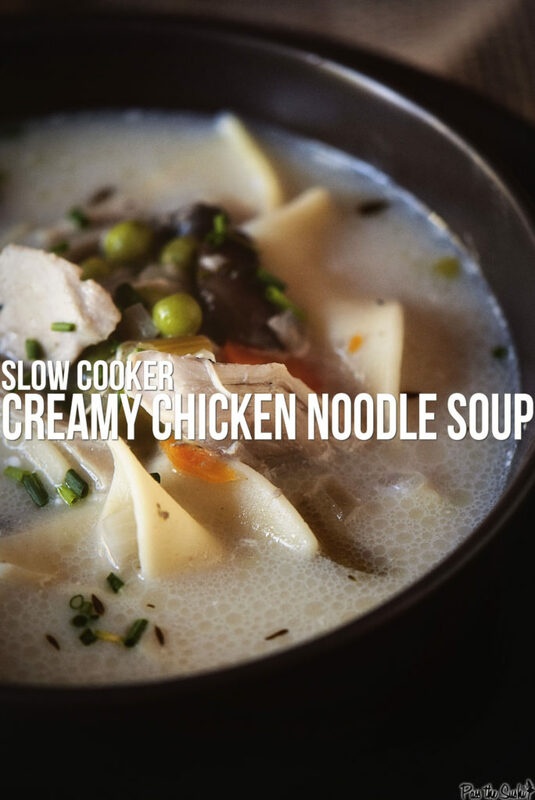 I started looking at chicken soup recipes and seeing that they were indeed pretty much all the same. Standard veg, chicken, broth. Here’s my attempt to add a wee bit of punch to the classic and make me forget those little tin cans forever. Soup, I love. Canned soup is just wrong. 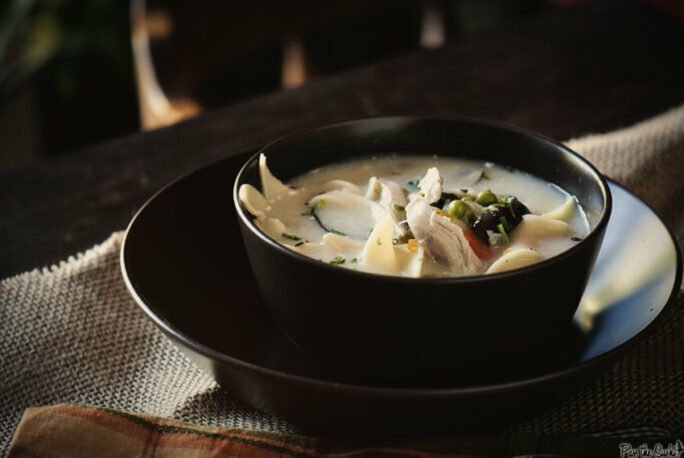 Classic chicken noodle goes a lot further when its from the heart - or at least from your own kitchen and not a tin sodium bomb. Place the chicken thighs in the slow cooker. Add the garlic, onion, celery, carrots, and mushrooms. Season with salt and pepper. Add the thyme, sage. Pour in the broth and water. (Use more or less water as needed. I did mine two cups at a time for soup consistency taking into account the noodle addition later.) Cook on low for 6 to 8 hours. Using a slotted spoon, remove the chicken from the slow cooker. Break into bite sized pieces and return. Stir in the cream cheese and peas. Stir to melt the cream cheese. Bump the heat to high, add the noddles, cover and cook for 15 minutes longer, until noodles are cooked through. Serve with fresh herbs on top and buttery crackers. Whenever I’m sick I still crave the chicken and stars Campbell’s soup. But UI would definitely not turn this down in it’s place! I suddenly feel a cold coming on. Cough. Cough. I won’t go near canned soups but I’d be all over this stuff.